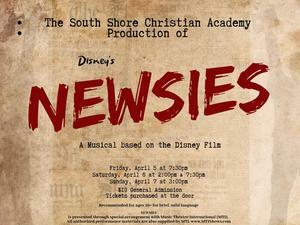 South Shore Christian Academy presents Disney's "Newsies", a musical based on the Disney film. Showing April 5, 6, and 7. Tickets purchased at the door. 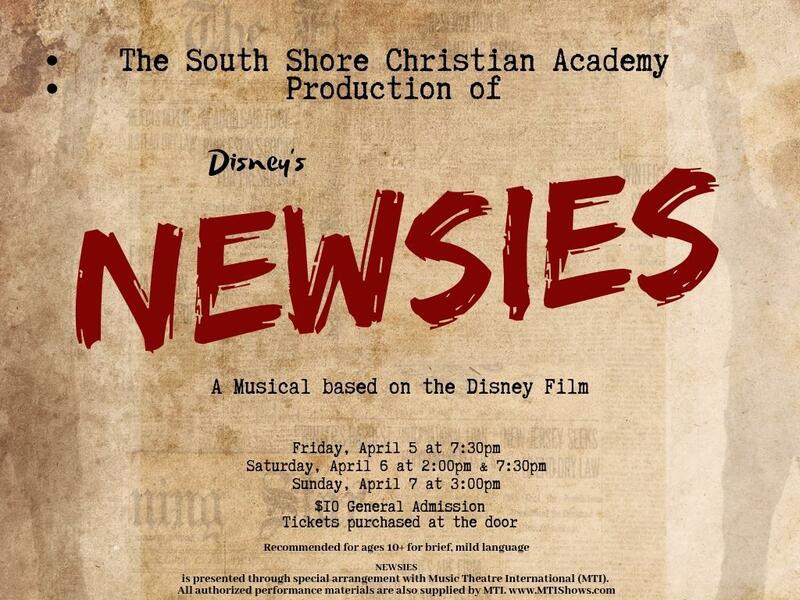 Saturday, April 6 at 2:00 p.m. and 7:30 p.m.